Definitely the most eventful and colorful ASIS show in a long long time; While it certainly was not particularly successful in a conventional sense nor were exhibitors thrilled with traffic, Philadelphia was quite an experience. Most everyone had an opinion of the host city though typically not a terribly positive one. 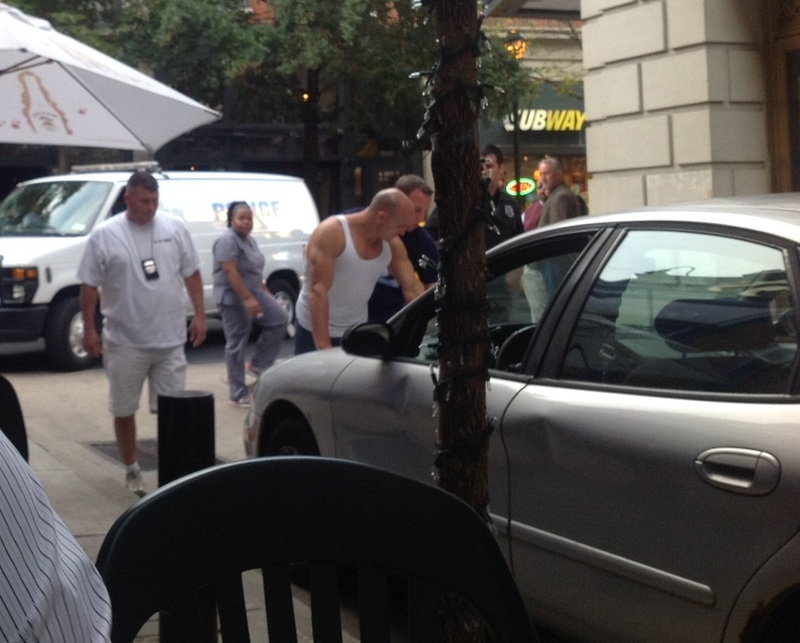 Who needs dinner theatre when you can have a real life arrest a few feet from your table? This guy looks like Vin Diesel's brother. I hope a casting agent is reading this. Especially after the robust traffic at ISC West 2012, this was quite surprising. Now, the interesting question is what happens for ASIS 2013 in Chicago? Our poll on this shows that half of members think it will be better but another half think it will be the same or worse. Btw, if you think we are being skeptical about poor traffic, here's what (usually happy go lucky) Security Products had to say: "Where's the Beef? ... ASIS didn't produce the numbers of visitors expected." "Overall, traffic on the floor and captured leads were down but the level of conversations between partners was up. I guess that was bound to happen - with few attendees on the show floor, vendors teamed up to talk integration and partnerships." 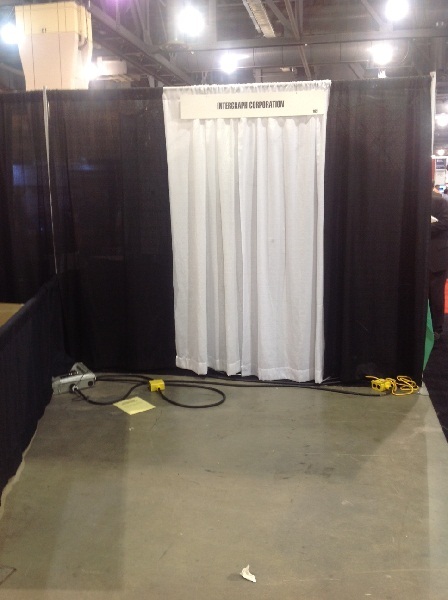 This was likely the smallest ASIS (or ISC West) show floor in the past decade. While the floor has ~42 rows (similar to the past few years), each row is fairly short, notably shorter than other shows. One could fairly easily see and walk the floor, which is good for attendee's feet but not as a signal for the industry. 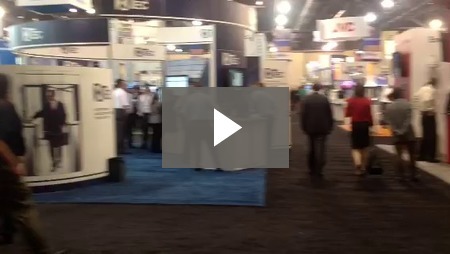 ASIS had very few gimmicks while ISC West 2012 had many. No magic tricks, reality show cakes, marching bands, etc. Also, there were hardly any booth babes. I am not sure if this means the industry is more mature or just simply not trying as hard. There were a fair number of empty booths on the sides and ends plus other areas that seemed to be filled in with extra rest areas or seating. "Although we did originally plan to occupy the booth assigned to us, we had instead offered it to a partner with whom we occasionally share services. 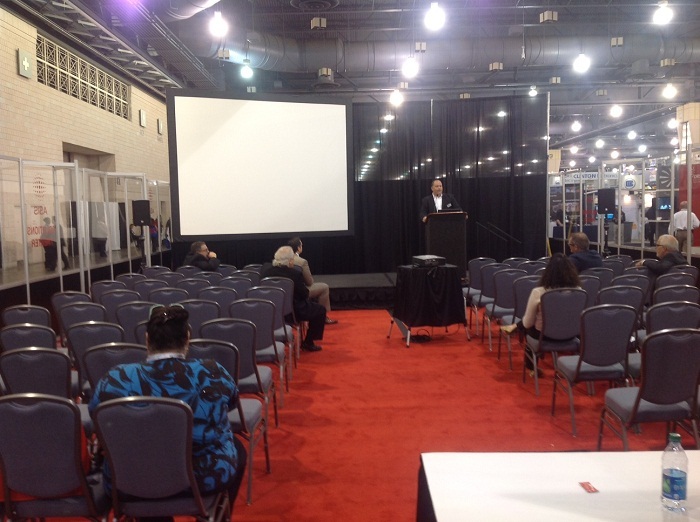 As an alternative to exhibit space, Intergraph sponsored the show with a presentation at the Solution Theater, content on the ASIS mobile app, and other promotions. Unfortunately, at the last minute, our partner was unable to attend, and we had insufficient time to furnish and man the booth. 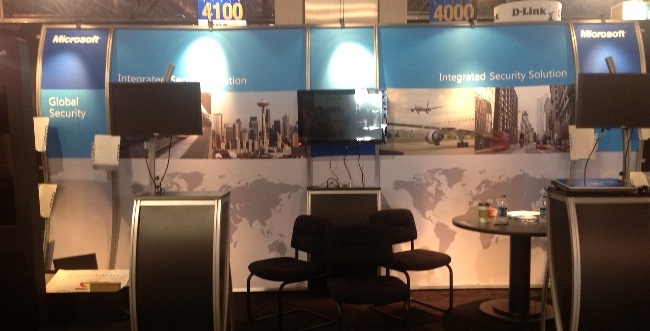 Although we notified our contacts at ASIS to omit our name from all booth references, they did not do so. We still consider ASIS an important security show and we continue to expand our security offerings." 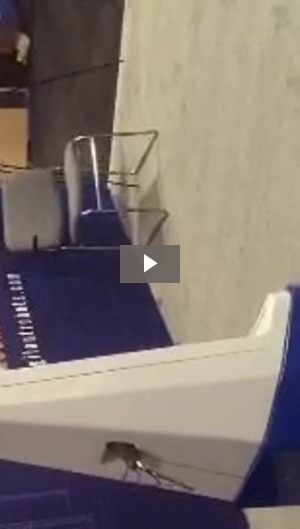 That noted, nothing really matched the futility of Ingram Micro's Pavilion at ISC West. Microsoft has been getting significant attention recently because of the NYC announcement. See our full review of the Microsoft PSIM offering. It is definitely different - it is most akin to a cube camera as it includes an integrated lens (fixed and varifocal options available). However, it is fairly big for a cube camera - being considerably wider and deeper than the average cube camera. 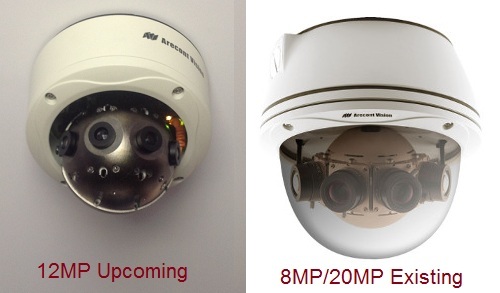 Additionally, pricing seems to be similar to existing Arecont compact box cameras. This is weird considering cube cameras are typically less expensive than box (one of the main reason users choose cube cameras). However, Arecont noted that, "MegaBall's stylish modern looks will appeal to architects and end users who value good design." The look is certainly different but it's not clear that given its relatively large size and lack of pricing advantage, that this is enough to make it popular. That said, it was certainly one of the most different things we saw on the show floor. By contrast, Arecont looks like it might have one of the most interesting new offerings at the show with their 12MP WDR panoramic. While Axis, Panasonic and D-Link all showed their first fisheye 360 cameras, Arecont 'technology demonstrated' their upcoming 3rd generation panoramic cameras. 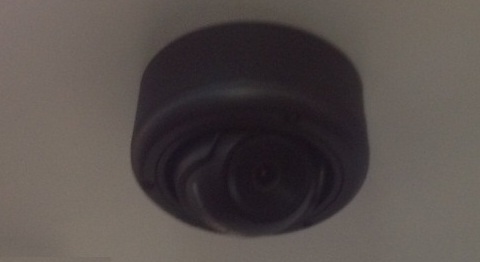 It is almost as small as regular dome which is quite impressive since there are 4 cameras inside it. Arecont has had a clear lead in this area for years and will likely extend it with this model. 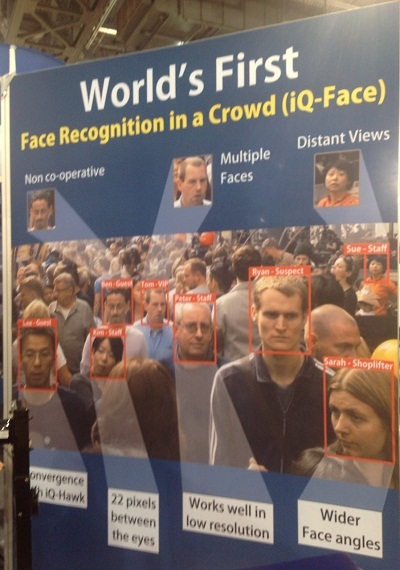 The front runner for most irresponsible claims at the show is Iomniscient who is marketing "Face Recognition in a Crowd". The claim about "22 pixels between the eyes" is shocking. We've never seen any vendor claim less than 35 pixels and that is pushing it. Dropping to 22 pixels and maintaining any level of accuracy is nearly unbelievable. From our discussions with them at their booth, we did not hear anything to explain such a quantum leap. 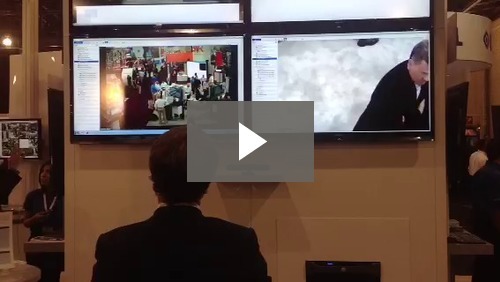 Probably the most discussed demo was Avigilon's Kinect VMS controls which the now massive marketing machine at Avigilon promoted across the Internet. We do not see this as having a big practical impact (one, they are not releasing this in production, two, adding similar support would be straightforward to replicate). However, it is a great example of how a marketing demo can draw lots of attentions. And, unlike a magician, this is actually a good demonstration of real future features. 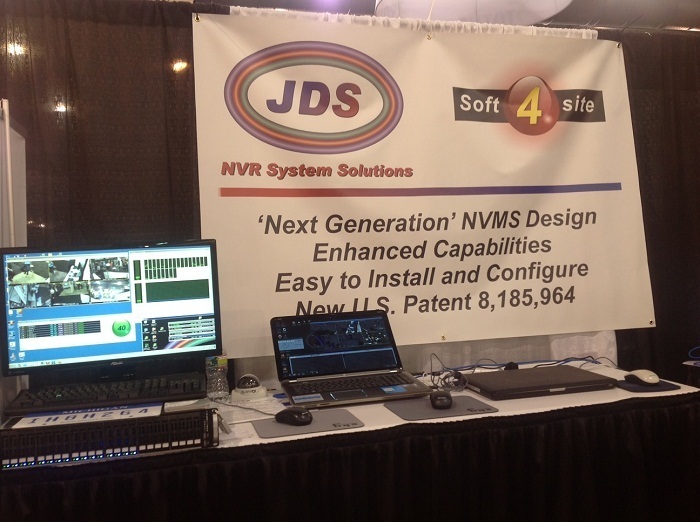 Also ran VMS provider, JDS marketed its patent 8,185,964 on its banner. We've never seen patent numbers advertised in a booth before. However, since they are suing Milestone, it makes sense. The robot demo was very interesting - equal parts cringeworthy and amazing. Read the full review on the Vigilus security robot. A few years ago, Bosch "took it to the streets", forgoing a big booth for a tent in the parking lot outside the convention center. 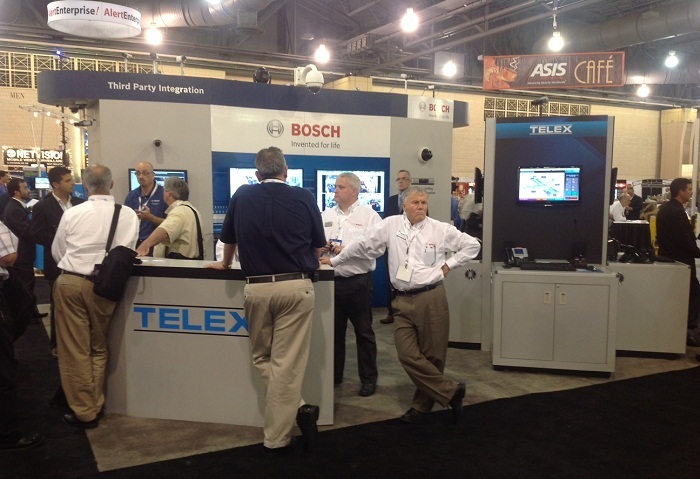 Though there was no tent this year, it does not seem Bosch is moving back towards a big presence at ASIS. At ISC West, Tyco's RMR junkies and IP warriors terrorized playgrounds, caused laughter and confusion among attendees. 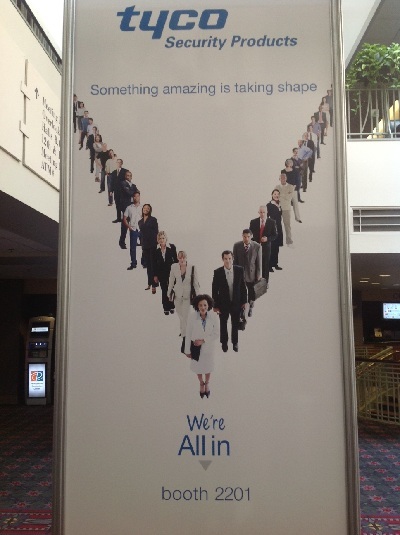 This time, Tyco has gone for the more conventional tagline ‘We're All In' that appears to emphasize their broad product portfolio. Unfortunately, a dozen mediocre product lines do not equal a few really exceptional ones.